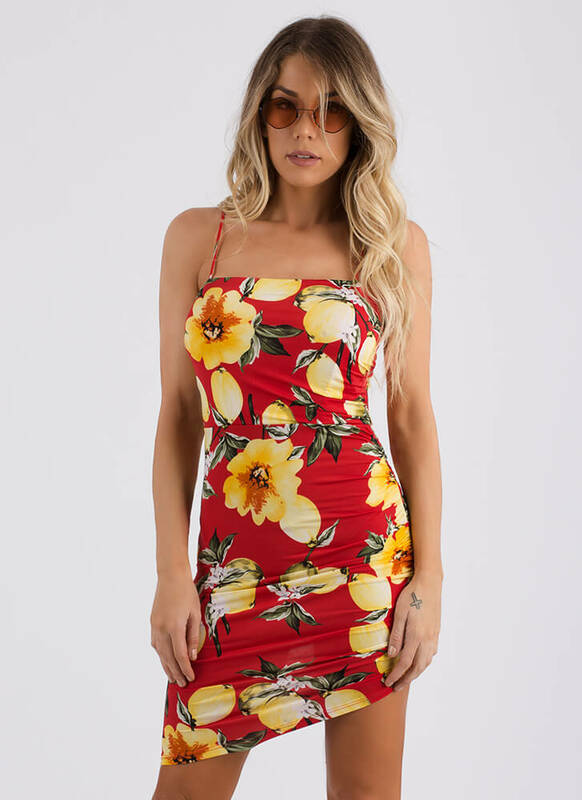 Your closet will bloom with this new addition... Stretchy, lightweight, sleeveless dress features a square neckline, an allover floral print, and ruching down one side that creates an asymmetrical draped skirt. Dress is finished with non-adjustable spaghetti straps, bust padding, and no closures. Pattern placement may vary. Length: High: 28", Low: 35"